Call Me On The Yacht: Live From HK: "I Could Do This Everyday"
Hong Kong is outside my window, beneath my feet, and in my head. I am in freaking love with this metropolis (can't call it a city because it's so much more than that). Everything from the elevated network of sidewalks--you could go about your normal daily business for a while without having to touch the ground--to the supremely clean and efficient public transportation is delightful. I freely admit to being a "city person," and yet I am often disillusioned with many aspects of Chicago, New York, etc. In Hong Kong this past week, however, I have only been uncomfortable with one thing: how slowly everyone walks. I know I know...trivial crap. BUT I've been all around these islands and seen all sorts of areas and even the cow hearts freely being touched by shoppers in the meat markets, and for some reason I cannot reconcile this bustling capital with its slow-moving population. OK, enough with the negative. I want to move here. Like faster than now. Only another trivial thing stops me from putting the cogs into motion: the horrible heat and typhoon season of summer. The only other time I've been to HK, which was for 8 hours during a layover and I actually did manage to go outside, the humidity was stifling and it was only April. Nonetheless, upon my return to NYC in a few days, I know that I will not be able to shake the feeling that I belong in HK, and so if there are any employers looking for a fall-winter HK employee or an expat guy who wouldn't mind having an extremely independent and seasonal girlfriend...you know where to find me. 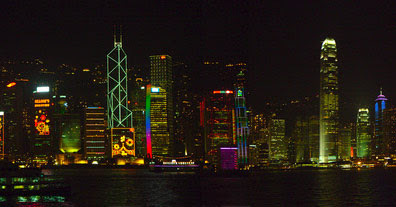 I love HK as well, spend the better part of last year there & in Shenzhen. I miss it everyday. the speed at which people walk, must be based on their height, at least that's what I think at 6'4" I often got frustrated by it, and chose to travel not during rush hour times. I'd love to find me a short term or long term job there. 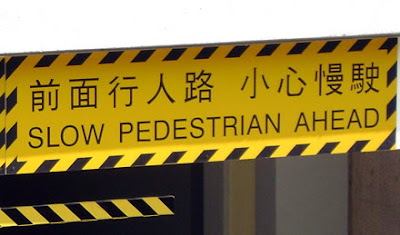 Was working on a installation in the New Territories & in China, sadly it seems I won't be making my way back there anytime soon - at least not for work.